We are a private wildlife removal company, and we can remove dead animals on your property or inside your house, for a fee. If you see a dead animal on the side of the road and want the city to take care of it, call them at 310-523-9566 or 1-888-452-7381. Alive wildlife in the house is a nuisance even a dead wildlife in the house causes different problems such as bad odor in or outside one’s house. Due to the dead body there are a lot a flies or swarms present near the areas which again pose threat to health issues. Furthermore there are stains on the walls. Because of these reasons people want that a dead animal should be removed from their house as soon as possible and the areas should be deodorized and decontaminated. The main problem due to a dead animal is that its body starts deteriorating which results in odor. Initially the odor of organic compound and light and annoying but with the passage of time it increases. How strong the odor can get also depends on different factors such as size of the animal. A larger animal will have a stronger smell as compared to a smaller one; the type of wildlife also determines the strength of smell as every animal has its own smell. Location of the body also plays a vital role as if it is not near the ventilation unit in the house it might be a big problem but if it is in the attic near a ventilation area one might not detect a strong odor. Temperature also has a part in the process of decomposition because if the temperature is high the decomposition will take place at a faster pace and would have a strong odor. Same is the case with humidity. Air flow also affects the odor as some people might complain that they sense the odor more in the morning as compared to the evening due to the air flow. People differ from each other on their personality basis so some are unable to even tolerate a little bit of smell in the house. Removal of dead body is sometimes easy and difficult. When it is easy the wildlife body could be seen easily in front of the individual at a plain sight on the floor, yard or open place in the attic etc. whereas most this is not the case. The wildlife body is mostly found in place which are difficult to reach such as in ductwork of an air conditioner, in a pipe beneath the wall, spaces between the bathtub or within the chimney wall etc. This makes it more difficult for the individual to get hold of the body and remove it from that place and decontaminate the area. While doing this one should also keep in mind that how the animal ended up there so that one can eliminate that passage as a precaution for future. Removal of dead body from different parts of the house needs different kind of expertise. Some animal’s bodies are found in the wall as they tend to reside there and our Los Angeles dead animal removal service specializes in that. Sometime they slip and fall at the bottom of the wall and are unable to crawl back to their original place thus end up dyeing there. In order to locate its original place one need to sniff the areas of wall till one reach the point where the stench is most potent. One has to cut open the wall from there to remove the dead body and fill it again with proper material. Different types of wildlife can inhabit beneath the house for instance cat can crawl in narrow spaces beneath the house. Thus get stuck and die there. One needs to hire a person who can crawl under the house to do the job. 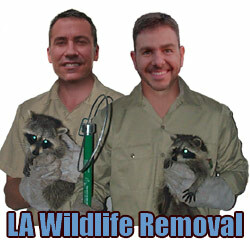 We do Los Angeles dead animal removal in such cases. The other option would be, he using proper equipment to drag the carcass of wildlife life out. Removal of dead animal is not easy and after the removal one need to decontaminate the areas too so no germs are spread which can cause different kinds of diseases later. Furthermore, it’s better to take professional help for the removal of wildlife carcass from the house. Why do Animals Die Inside a House?